Kozefò is a mergence of two Kreyòl words: Koze and Fò, meaning, to speak in a loud voice. Kozefò, as an organization, believes education is the key to developing thinking, creative individuals. As Christians, we are called to care and to speak loud against the injustices in the world. This is the true meaning of Kozefò, people together, hand in hand, speaking in a loud voice to bring about positive change in education, one school at a time. 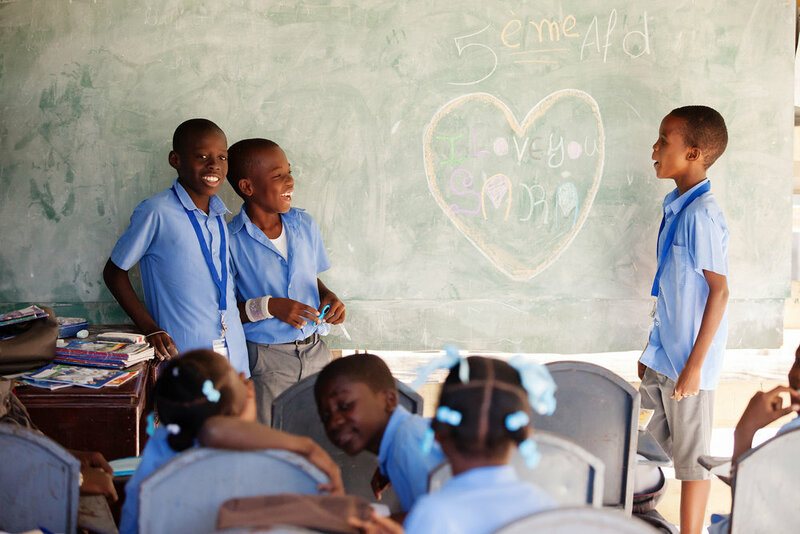 Kozefò is committed to supporting the primary school at A New Arrival Center in the Cagro community of Port au Prince. Kozefò was developed to support the efforts of a Primary School and Food Program, housed in A New Arrival Center, following the earthquake of 2010. As the focus shifted from orphan care to the education of community children, support was needed in development, training, coordination and funding of the programs. Our goal is to design and implement quality instructional practices to educate students in high-poverty conditions, so that they can be better skilled to achieve their hopes and dreams through continued education.